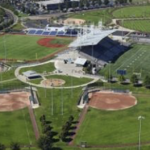 The City of Hillsboro’s Gordon Faber Recreation Complex, adjacent to Hwy. 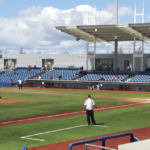 26, is a 90+ acre site consisting of a 7,000-seat multipurpose stadium with 170,000 sq. 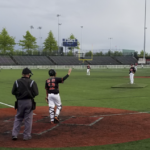 ft. of newly-installed Field Turf all-weather artificial surface, a 4,500 capacity minor league stadium and six natural grass ball fields. Close in proximity to amenities and lodging, Portland International Airport, and an hour’s drive to ocean beaches. Six premier, lighted natural grass fields. Two Field Turf all weather fields. Ample space between the fields for warm-ups. 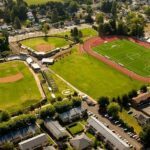 Bond Field rates among the top parks at the small college level. 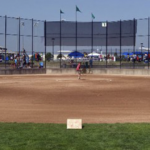 Known as a pitcher’s park, measuring 330 feet down the base lines, 375 feet in the power alleys and 390 feet to center field. 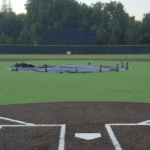 In the Fall of 2017 the infield was reworked and into artificial turf! Lincoln Park picnic areas and playground.